ERASTUS GILBERT HALL (1813-1893), Smyrna, Chenango, New York As previously mentioned, according to The History of Chenango County by James H. Smith (1880), “Luke Hall came at an early age from Somers, Conn., and settled in the north part of the town, where his son Erastus now lives, and died there, he and his wife.” Luke Hall was in fact one of the earliest pioneers in Smyrna (then Sherburne), before 1800, from Somers, Tolland, CT. Luke’s cousin Alpheus also migrated from Somers to Smyrna before 1800. 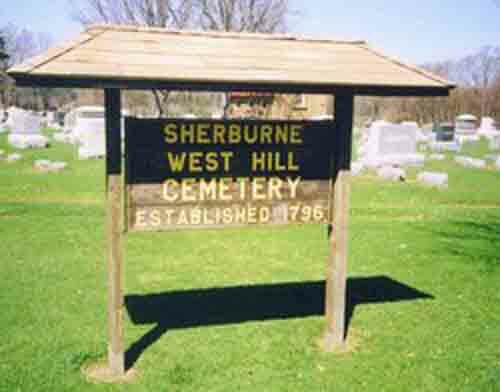 In the 1800 census for Sherburne we have living side by side: Samuel Hall (1 m 16-25, 1 m 45 and over, 1 f 10-15 and 1 f 45 and over), Moses Hall (1 m 0-9, 1 m 26-45, 2 f 0-9, 1 f 26-44), Luke Hall 1 m 0-9, 1 m 26-44), Alpheus Hall (1 m 10-15, 1 m 26-44, 3 f 0-9, 1 f 10-15, 1 f 26-44). Erastus Gilbert Hall was born in 1813 in Smyrna, Chenango, NY. He is the son of Luke Hall and Ruby Pease, who were married 8 Jan 1795 in Somers, Tolland, CT. He is the grandson of Luke Hall and Martha Davis. He is is the ggrandson of Samuel Hall and Hannah Parsons who married 1 October 1741 in Hartford, CT. And he is the greatgreatgrandson of Samuel Hall and Sarah Rising, who married in Suffield, Hartford, CT in 1708. Erastus had several siblings: Luke Hall (b. 6 July 1795); Ruby Hall (b 14 July 1797), Daniel Spencer Hall (b. Feb. 1808); Fanny Hall (b. December 1803) and Simon Hall (baptized 12 August 1804); and Hezekiah Cooley Hall, (b. 9 May 1810). Luke and Ruby Hall are both born in Somers, Tolland, CT. The rest of the children are all born in Smyrna, Chenango, NY. Erastus Gilbert Hall’s baptism is listed as being in 1813 in the Old Church of the West Hill records, as are the baptisms of his brother, Daniel Spencer; and his brother Simon, 12 August 1804; and his sister, Fanny, also on 12 August 1804. Father Luke Hall is listed as a member of the [Church] Society and Rheuby [Ruby] Hall is listed as a member of the Church. Erastus Gilbert Hall is listed in the Smyrna Business Directory of 1869-70 as a dairyman and a farmer. Erastus marries Mehittable “Hitty” Orinda Tobey. Hitty is the daughter of John Pope Tobey and Temperance Wing. Hitty has several siblings: Elizabeth “Eliza” A. Tobey (b. 15 Oct 1816; d. 31 Jan 1855); John P. Tobey (b. 13 Jan 1821); Edmund P. Tobey (b. 25 Dec 1822; d. 30 Mar 1871); Betsey Tobey (b. 11 Jan 1825); Persus Tobey (b. 15 Mar 1827); Antonette Tobey (b. 17 Apr 1831). Hitty was born 16 Dec 1818. All the children were born in Smyrna. Edmund (and his wife, Lucy) are buried in Smyrna East Cemetery in Smyrna. The Tobey family dates back to Thomas Tobey, of Sandwich, MA. who was from Wales. He was born around 1625. This is a very well-documented family. As noted in the Hall Family Bible contributed by the Caliban family: Children of Erastus Gilbert Hall and Hitty Orinda Tobey Hall: Seth Everett Hall March 31st, 1845 Ester Selina Hall June 24th 1848 John Tobey Hall April 28, 1851 Harry Hamlin Hall February 23rd, 1854 Jay Gilbert Hall January 22nd, 1856 Fred Demotte Hall May 7th, 1858 Charley Hall October 18, 1862 Erastus and Hitty have a daughter, Esther S. on June 24, 1848. 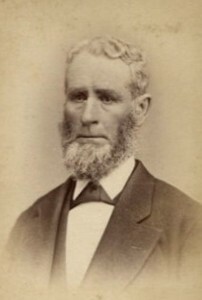 They have a son, Henry Hamlin Hall in 1854. Henry marries a young woman named Ella Elizabeth Lee. Ella Elizabeth Lee is born in 1859. Ella and Henry have a daughter named Alice H. Hall in 1884, who dies at age fifteen, in 1899. Henry dies this same year. Ella lives on to be about 76, outliving them by 35 years. Daughter Esther Hall is listed in Early Years in Smyrna and Our First Old Home Week by George A. Munson (Chenango Union Presses, 1905) as marrying Zanoni Boyden, and says she lived “at Preston, this county” [Chenango]. Zanoni was the son of Bradford Boyden (1824-1869). Esther was his second wife. Her first husband was a Purdy. [See marriage certificate in previous post. KH] Erastus and Hitty also have sons Seth Everett Hall, John Hall and Fred Hall. Seth is born 31 March 1844 in Smyrna. On 3 August 1876 he marries [second wife]Fayette McNair, born 8 September 1848. Seth becomes a properous nurseryman in Cherry Valley, Illinois. He and Fayette have children Flora B., Guy, John, Seth Jr., Frank and Fred. Fayette dies 30 October 1935. In the 1880 U. S. Census Erastus is head of household at age 67, and listed as a farmer. His father’s birthplace is listed as CT; his mother’s birthplace is listed as CT. Hitty is 62, keeping house. Hitty’s father’s birthplace is listed as CT ; her mother’s birthplace is listed as MA. Henry is a laborer, and 32. Both his mother and father are listed as having been born in NY. Esther is listed “at home” at age 26. And Ella is listed as a daughter-in-law, age 21. Both Esther and Ella’s mothers and fathers are listed as being born in NY. Erastus G. Hall, Hitty O. (Tobey) Hall, Henry H. Hall, Ella Elizabeth Lee Hall, Alice H. Hall and Esther S. Hall Boyden are all buried in Sherburne Hill West Cemetery. 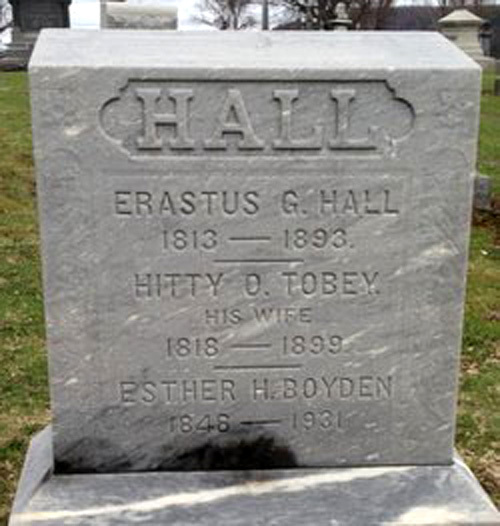 Hall, Erastus G. [Gilbert] (1813-1893) Hall, Hitty O. [Orinda] Tobey (1818-1899) Boyden, Esther (Hall) 1848-1931 Hall, Henry H. [Hamlin] (1854-1899) Hall, Ella (Ella Elizabeth Lee) (1859-1935) Hall, Alice H. (1884-1899) Ella Elizabeth Lee Hall’s obituary: The Sherburne News Thursday morning, Feb. 28, 1935 MRS. ELLA ELIZABETH HALL Mrs. Ella Elizabeth Hall, widow of the late Henry H. Hall and a former resident of Sherburne, died at her home in Rutherford, N.J., on Monday, February 18, 1935. She was well known by many of the older residents of this vicinity who remember her from the days when she resided on the farm now owned by Bert Butts. Born in the town of Lebanon on March 17, 1859, she was almost 76 years of age. She was the daughter of the late James C. and Honora G. Lee. In her youth she was a teacher at Upperville and in other rural districts. 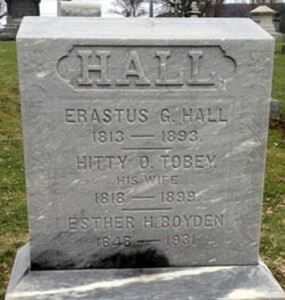 She was married to Henry H. Hall, son of Erastus G. Hall on Oct. 1, 1878. In the spring of 1899 her second daughter, Alice, died and just one month later her husband also passed away. She then moved to Hamilton with her four daughters and purchased a home on University Avenue where she lived and educated her daughters, all of whom graduated from High school and college or Normal school. In 1918, she sold her home in Hamilton and moved to New Jersey where she lived with her two daughters who are teachers in the city of Passaic. 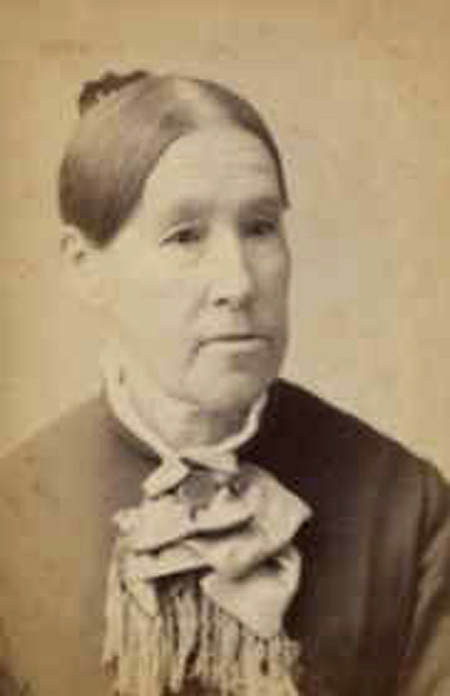 She was a lifelong and loyal member of the Congregational Church having united with the Church in Smyrna in her youth. Possessed of a keen mind she always maintained an active interest in the community and national affairs. But her major life interest was her family. She made it her first and greatest care to rear and educate her daughters. During the years in Hamilton she was known by many Colgate boys who remember her influence with deep gratitude, boys who in the passing years have become known far and wide as men of influence and distinction. She was a member of the Browning Club and of the Child Study Club in Hamilton. Friends knew her and her family in the years she lived in Hamilton often were reminded of the story Little Women. She is survived by four daughters, Mrs. Evan L. Wilcox and Mrs. George L. Bennett of Sherburne; Miss Helen M. Hall and Mrs. W. H. Kendall, of Rutherford, N.J.; also by five grandchildren and two nieces, Mrs. C. D. Satterlee and Mrs. Roy Bryan of Sherburne. Rev. Clifford W. Hilliker, pastor of the First Congregational Church, conducted her funeral at the Wilcox home on Thursday, February 21st and she was buried in the family plot in the Sherburne West Hill cemetery.